Former high ranking member of the Santa Clara County Sheriff’s Advisory Board remains behind bars, charged with 9 felony counts for illegal investment scheme. 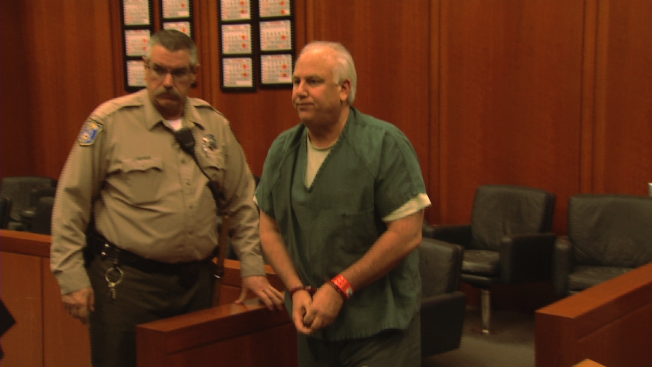 Following nearly two years of reporting by the NBC Bay Area’s Investigative Unit, a prominent south bay car dealer and former member of the Santa Clara County Sheriff’s Advisory Board now sits in the Sheriff’s jail, facing felony criminal charges. The complaint filed by the District Attorney against Ron Battistella and his accountant lists nine different counts of securities fraud. The allegations include omitting facts, grand theft, scheming to defraud investors and attempting to sell unqualified securities. The investors’ stories revealed a trail of missing money and debt. The Investigative Unit also learned he owes the State of California and the IRS more than $2 million in unpaid taxes. Battistella has also filed for bankruptcy in the hopes of removing more than $10 million in accumulated debt. The filing includes the nearly $1.3 million collected from 20 Bay Area investors. According to the Santa Clara County District Attorney’s office, Battistella advertised a Ponzi scheme in the San Jose Mercury News and other local papers, promising a 10 percent annual return. The investments were supposedly backed by vehicles from Battistella’s showroom. Vishal Bathija, the prosecuting attorney for the Santa Clara County District Attorney’s office, said it was a Ponzi scheme and against the law. “What makes Ponzi schemes illegal generally, is the investor’s not told what their money is going to be used for,” said Bathija. Battistella’s tax debt included $1,700,000 to the State of California and $600,000 the IRS. In the months that followed The Investigative Unit’s original November 2012 report, cameras regularly spotted Battistella sitting in a friend’s second row seats at Golden State Warriors basketball games. All the while, Santa Clara County investigators were busy reviewing investor’s accusations. The Investigative Unit met Mr. Battistella and his friends after one of those games outside Oracle Arena. Despite his friends getting physical with NBC Bay Area’s camera crew, Battistella was still asked - on behalf of the investors - what happened to the total amount of $1,300,000 in investments. “Mr. Battistella, what do you say to the people who want to know where there money is?” he was asked. ‘Can you say where the money is sir?” Battistella did not answer NBC Bay Area’s questions. The NBC Bay Area Investigative Unit first reported one of Battistella’s questionable business decisions in May of 2012. At that time, Flor Madsen consigned her Ferrari with Battistella at his dealership, Steven’s Creek Auto Mall. The Santa Cruz woman was hoping to use the profit to save the senior care facility she owned from going out business. Madsen told The Investigative Unit that Battistella kept the money, violated their contract and failed to pay her the $65,000 profit. When the NBC Bay Area investigation aired, Battistella paid Madsen her money, but then more than a dozen people contacted The Investigative Unit. They claimed to have invested in a business opportunity Battistella presented to them and owed them money as well. Today, the now former Bay Area car dealer has traded his courtside seat for one behind bars in county jail. The Investigative Unit showed former investors Guan and Shers courtroom video of what appears to be a worn down Battistella in the jail’s jumpsuit, wearing handcuffs. “There was a time that I would say that I lost hope. I thought he might get away with it,” said Guan. Shers expressed the same hope as before. He wants his money back and wishes for that, and more. “It would be nicer to have the money back with him in jail, but at least he’ll be in jail,” he added. As for what Battistella did with the money, according to the Santa Clara County District Attorney’s Office, that remains a mystery. Bathija says they’re still investigating and cooperation with potential victims may help find it. But for now, “We don’t know. It’s a lot of money that’s missing,” he concluded. Mr. Battistella remains in custody on bail that matches the amount he is accused of taking from his investors: $1,300,000.